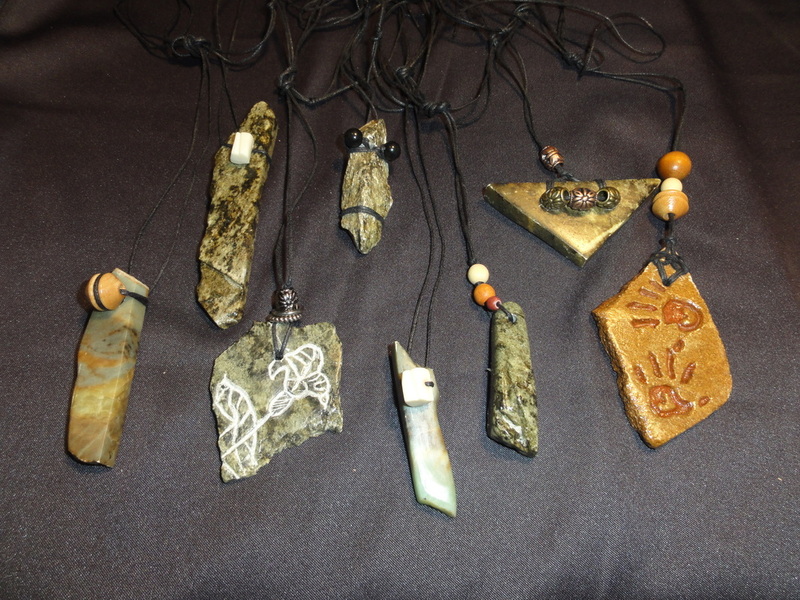 Kay has branched out into necklaces using soapstone and other rock and stones. The pieces left over from sculptures was never thrown away and has now become something of beauty in a much smaller form. Kay is also using beads and glass to enhance the coral and urchin spines she found in Maui. 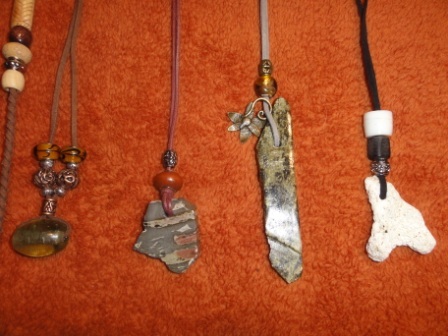 Unusual rocks found along the BC lakeshores have become special memory pieces for Kay. 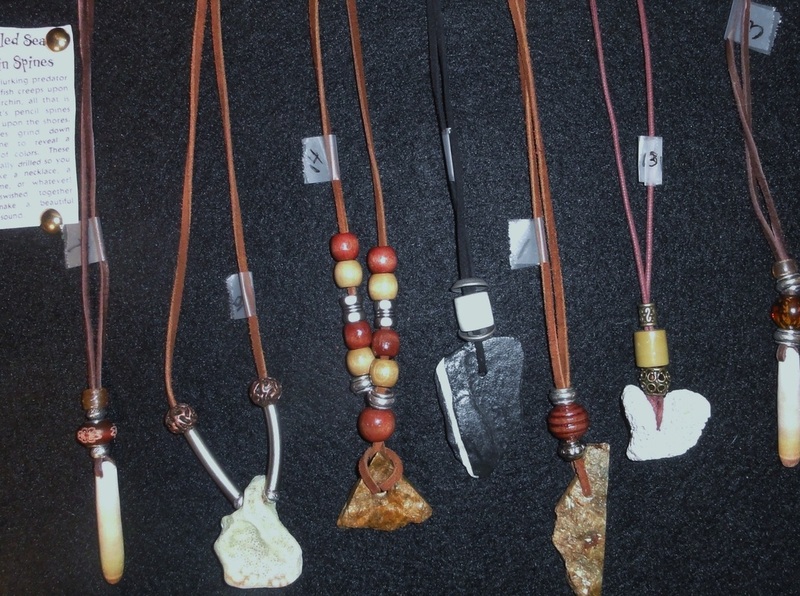 She has used a variety of leather, silk and braided cord to string her pendants and beads.